Jalen Lecque is off to a hot start with his new Brewster Academy basketball squad. After opening the season 5-0, Brewster faced their toughest test when they faced Lee (from Maine) in a home game. Both teams were held under 70 points and it was a single-digit contest in the final minute. In the end, the balanced Brewster squad’s depth proved too much for Lee. 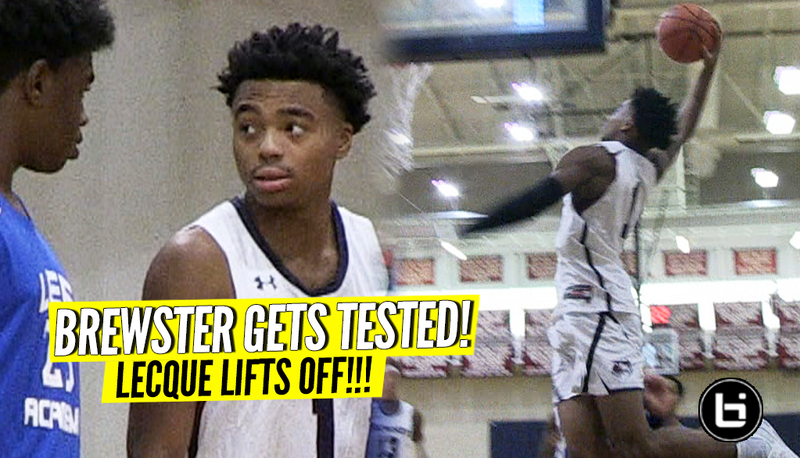 Jalen Lecque threw down 2 of his most electrifying dunks to date this season (though it’s early)! Alonzo Gafney and Anthony Walker played well around the rim at both ends. Brewster Basketball this season will be MUST SEE TV for basketball fans!